Kara McAllister is lost and she knows it. That’s why she is drawn to a strange Rand- McNally map of the Inter-mountain West that she finds in a Powell’s Bookstore in Portland as she is running away from a failed relationship, a successful career – and herself. 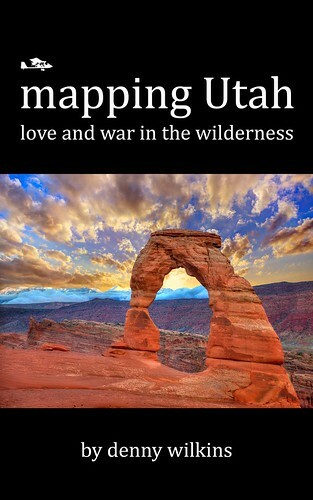 How she comes to find a new relationship, a new career, and, ultimately, herself, is the central narrative of Denny Wilkins’ first novel, Mapping Utah. It’s Kara who is the protagonist of this work. That must be understood before the novel’s achievement reveals itself. There are plenty of antagonists: bad guys who would ruin delicate wilderness areas for their petty amusements, corrupt police and politicians who sell the public trust, bad lovers who see their relationships as conveniences.